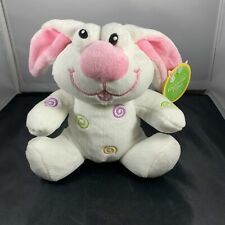 DAN DEE Plush EASTER BUNNY Stuffed RABBIT Animal 2009 With Tag Earthrite Fiber. Condition is Used. 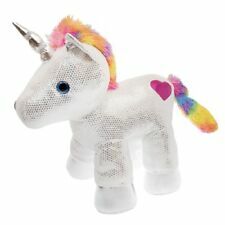 Shipped with USPS First Class Package. 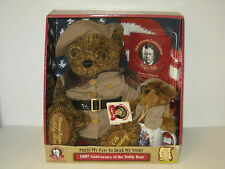 This is a Dan Dee Collectors Edition of the 100th Anniversary of the Teddy Bear. Batteries for the larger bear are included. 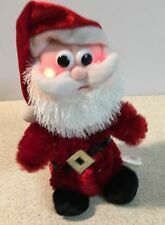 Dan Dee 2000 Christmas White Red Snow Flake Teddy Bear. 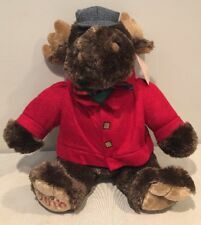 Plush Soft Stuffed Toy. This excludes weekends. In Great Condition! This is a Dan Dee collection. This little monkey has a stripped sweater on (Green/white). Sock monkey black and white stripes with heart. Sock monkey with sweater and hat. Good, pre-owned condition.may have very minor general wear. Battery operated (2 AA Batteries). New ListingDan Dee Puppy Dog Tan Beige Brown Fluffy Soft Plush Stuffed Animal Doll Toy 14"
This puppy dog doll is in excellent condition - has no tears, stains nor bad odors. International Ok! Smoke & Pet free! Very Good - 1 or 2 minor flaws, otherwise excellent.